As the name suggests, these rooms are characteristic in their Indonesian style and design and offer partial ocean views and garden views. Each has its own personality; standing alone amidst tropical flowers of fragrant frangipani, bougainvillea and other native plants. All Classic Queen Partial Ocean View Rooms have generous size interiors, ornately carved Indonesian furniture, romantic beds draped with curtains for romance and privacy. Traditional style of garden bathroom with rain shower. Puri Mas has adopted a minimum guest age of 12 years. Each of our swimming pools, which include our public and villa pools, is over 150cm deep. Our pools are not attended or gated, therefore, in the interests of safety, we have made a conscious decision to adhere to this policy. Jacuzzi Villas offer their own delightful plunge pool. The villas are located to the rear of the Beach Resort, with a short walk to the hotel facilities, Infinity Pool, Ballroom Restaurant, Beach and Ocean. The Jacuzzi Villas have their own “jalan”, or Street. The “jalan” with its high walled concept depicts the Keraton or Palace compound typical of Bali or Yogyakarta. The high walls seclude enchanting villas and their plunge pool guaranteeing complete privacy. Enter your villa through wooden doors into a dainty garden with restful terrace and dining area. The outdoor plunge pool is perfect for two and will keep you cool! (water is not heated). The spacious bedroom holds a large signature bed adorned with curtains. Double glass doors lead from the bedroom to an indoor bathroom displaying a classical round bath tub and separate rain shower. This elegant villa has hosted some of the most famous Indonesian Presidents and other dignitaries, and offers four elegant bedrooms made up of two master and two guest rooms. Each Bedroom leads to the private pool and sun terrace. All rooms are elegantly furnished in soft hues with grand four post beds, and marble floors. Bedrooms lead to open bathrooms with rain showers and bathtubs. Located immediately behind the infinity pool with views across the ocean directly in line with Bali’s Mount Agung, one can easily see why this villa is named the Presidential Villa. 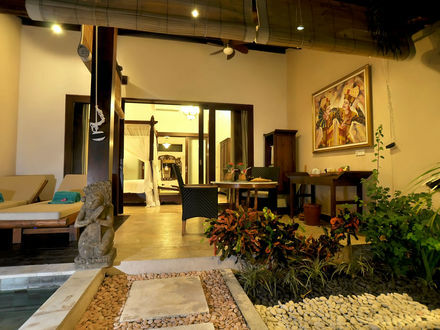 Each and every Quirky Garden room has the Tradition, Luxury & Style of Puri Mas. All rooms have a garden view from the terrace. 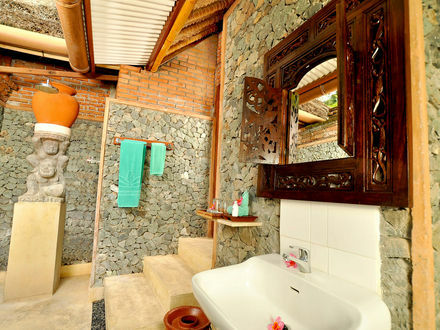 One of the most popular features in Puri Mas is the traditional style of open bathroom, found in many of our rooms. However if you prefer not to shower under the stars, let us know and we will do our best to book you an indoor bathroom but please note your request cannot be guaranteed as subject to availability. Note: (2 rooms are on level 1) please specify if you prefer a ground level room and we will do our best to accommodate your request. The romantic villas complete with their own private pool, are a short distance to the enchanting infinity pool, Ballroom Restaurant, beach front terrace, beach and ocean. Of minimalist style, the villas cleverly combine local artifacts from this amazing archipelago dissolving any stark icy feel that just doesn’t match with the warmth and charm of Indonesia! Each Romantic Villa is set behind a high wall enclosing its garden and individual swimming pool. Bedrooms flaunt wooden or tiled floors, king size signature beds with romantic curtains. Sliding doors open out onto the terrace and pool. Villas with garden bathrooms offer rainforest showers and delightful bathtubs sitting beneath their own pavilion. 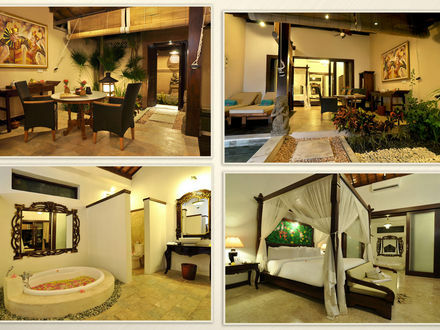 Villas with indoor bathrooms offer spacious rainforest showers and round bathtubs cozy enough for two!! Please specify whether you prefer indoor or outdoor bathrooms – subject to availability we will do our best to accommodate your request. Note: Villas do not offer kitchen facilities. Royal Suites are located on the first level accessed by an outside staircase. Each room overlooks the Puri Mas infinity pool with ocean views across to Bali. A large antique bed, comfy sofa chairs and a couple of Victoriana lying chairs perfect for sundowners are strategically placed in front of the indoor outdoor folding doors where the ocean breeze rolls in. Soft wooden floors marry together with rustic unpolished marble and colorful artwork. Located 2km from the Puri Mas Beach Resort is the Puri Mas Spa Resort which includes two standalone Spa Villas. Each Villa overlooks the refreshing lap pool, adorned with comical fountains the music of which will surely encourage a relaxed state of body mind and spirit. The rooms offer a large terrace for relaxing and dining. Traditional Balinese doors enter into a grand bedroom with an oversized comfy bed draped with romantic curtains and traditional furniture. 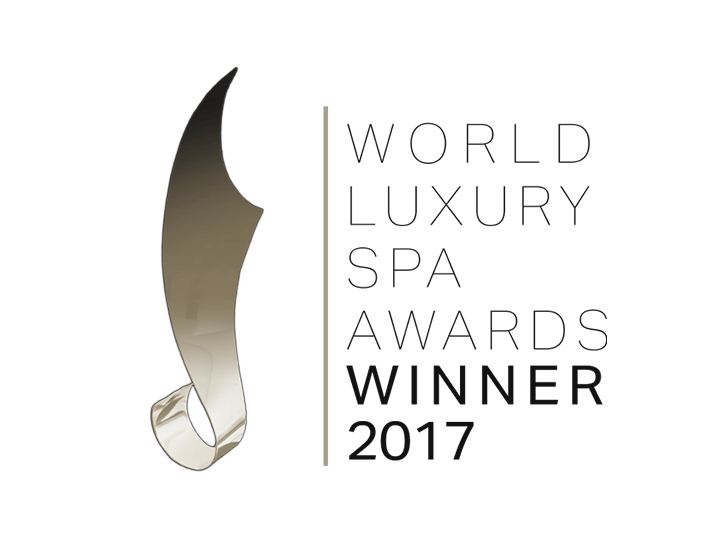 A connecting door leads you first to your in room spa treatment area flanked on one side by a delightful garden terrace with outdoor shower, and on the other a huge marble garden bathroom with double shower, and king size tub. Meals may be served on your terrace, poolside or in one of the traditional Indonesian pavilions. This Villa has pride of place within the original Beach Resort, and was originally built in memory of Ratna Wati De Rijk, the late mother of Puri Mas owner Marcel De Rijk. Situated within its own walled garden, the villa overlooks a delightful kidney shaped swimming pool with ocean views to Bali and Mount Agung. In the gardens an elevated pavilion allows guests to soak up the atmosphere in peace and quiet. Accommodation comprises of 3 double bedrooms each with their own bathroom. Note the villa does not offer kitchen facilities.